1. JoomlArt: 7 Joomla templates and JA Content type plugin updated for Joomla 3.9 compatibility and bug fixes. 2. GavickPro:10 Joomla templates updated for Joomla 3.9 compatibility and bug fixes. 3. 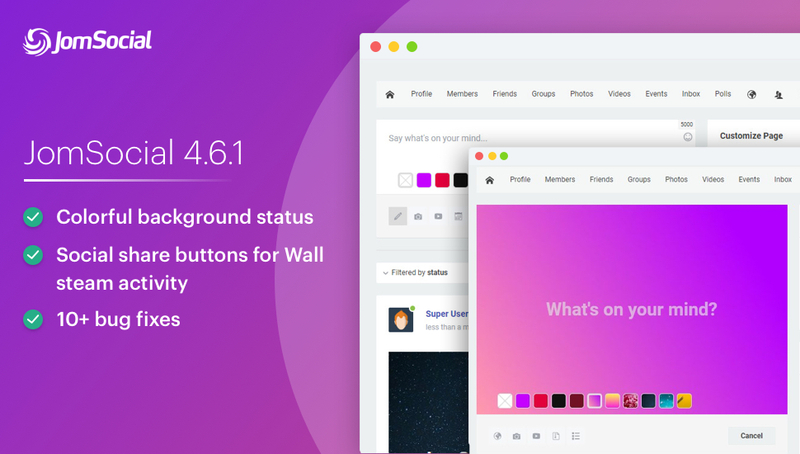 JomSocial: JomSocial 4.6.1 updated for colorful status, improved sharing feature and bug fixes. 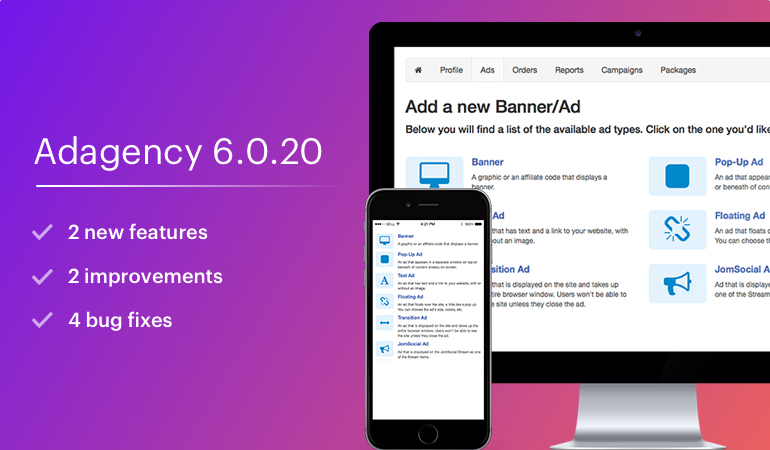 4. iJoomla: Ad Agency Joomla extension updated for new features, improvements and bug fixes. 5. Shape5: 7 Joomla templates updated for Joomla 3.9 compatibility and bug fixes. 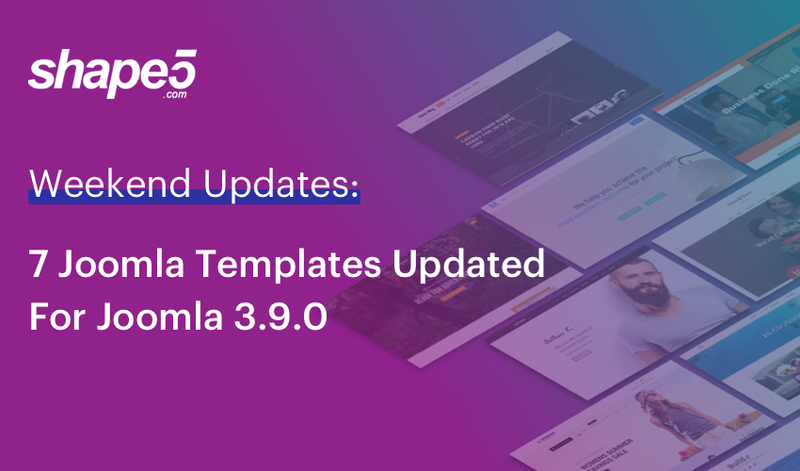 View the comparison between versions at JoomlArt Version Updates and replace the affected files, if you have not customized the affected files. Recommended : Use JA Extensions Manager Component for upgrade. Watch video for how to upgrade using JAEM. 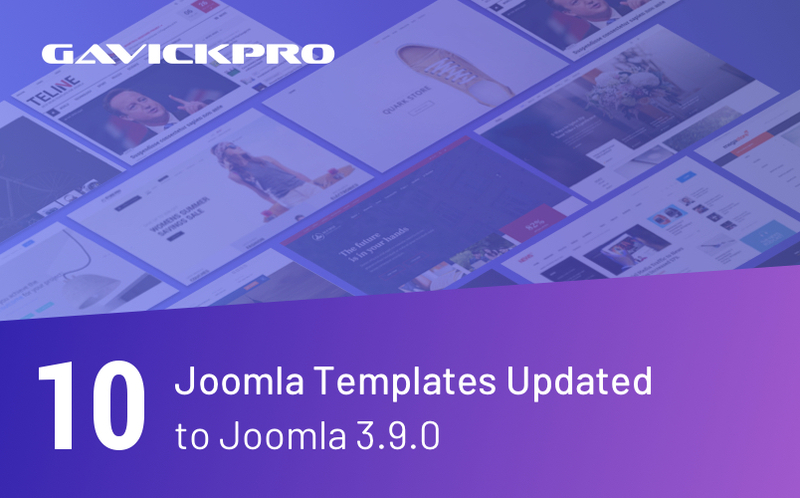 GavickPro updates: 10 Joomla templates updated for Joomla 3.9 and bug fixes. 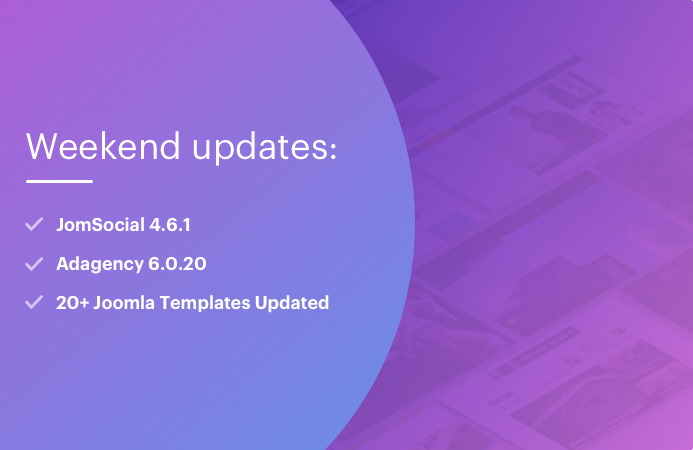 iJoomla: Ad Agency Joomla ad extension updated for new features, improvements and bug fixes. Shape5: 7 Joomla templates updated for Joomla 3.9 compatibility and bug fixes.